Drop arm portable bedside toilet with arms makes for a convenient bedroom or bathroom addition. 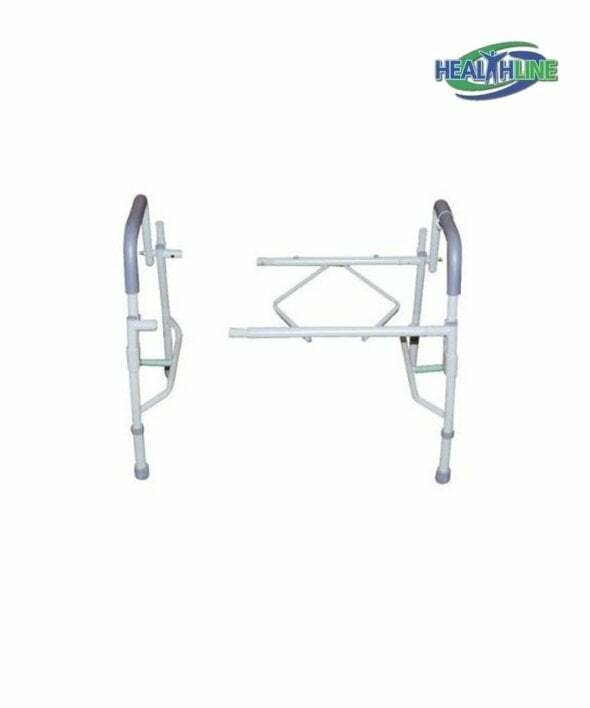 Used as a safety fixture, over existing toilet or as a simple help up from the bed – this sturdy construction is the perfect solution for someone taking care of a disabled person, an elderly or a post surgery patient. The major advantage of this very device is the automatically armrest locking mechanism when those go into upward position. 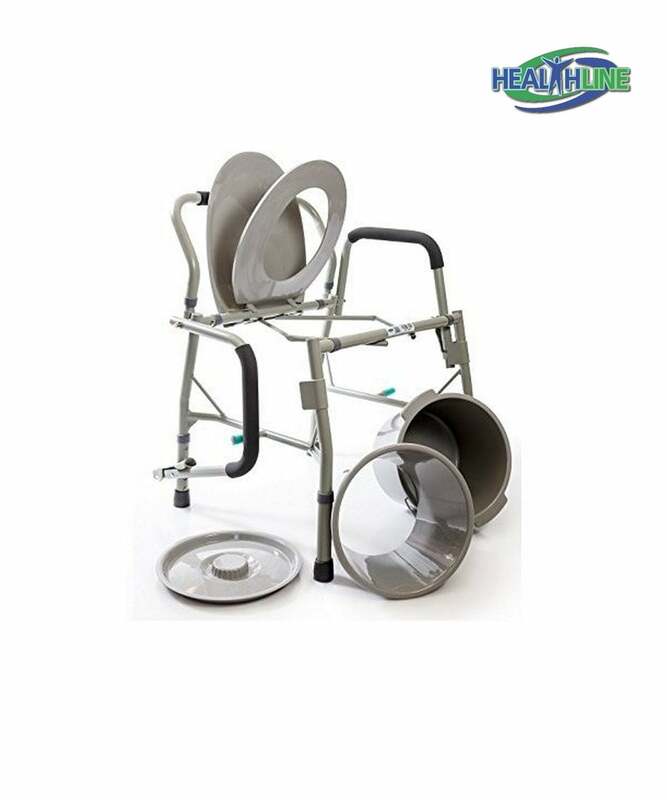 This commode with pail is ideal for use with people who have limited range of motion in their arms and fingers. This compact product has a durable sturdy well-made structure and will handle weight up to 300 lbs. 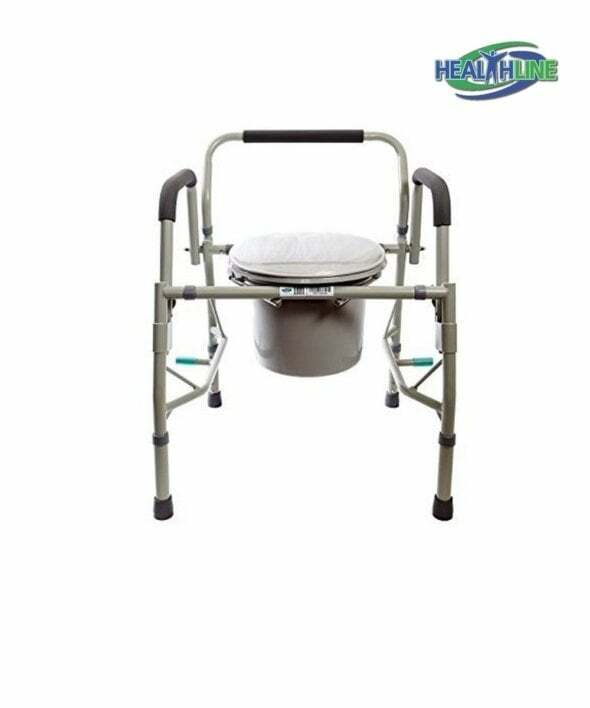 Weighing only 20.5 pounds this bedside commode with pail takes four easy tool-free steps to assemble. It is easy taken apart for transport or storage if necessary. The medical grade plastic bucket with a splash guard and a lid comes complete with this bedside commode. The seat itself is made with the same type of quality sturdy plastic for easy cleaning and maintenance. Steel welded commode frame has grey powder-coated finish for minimum maintenance. 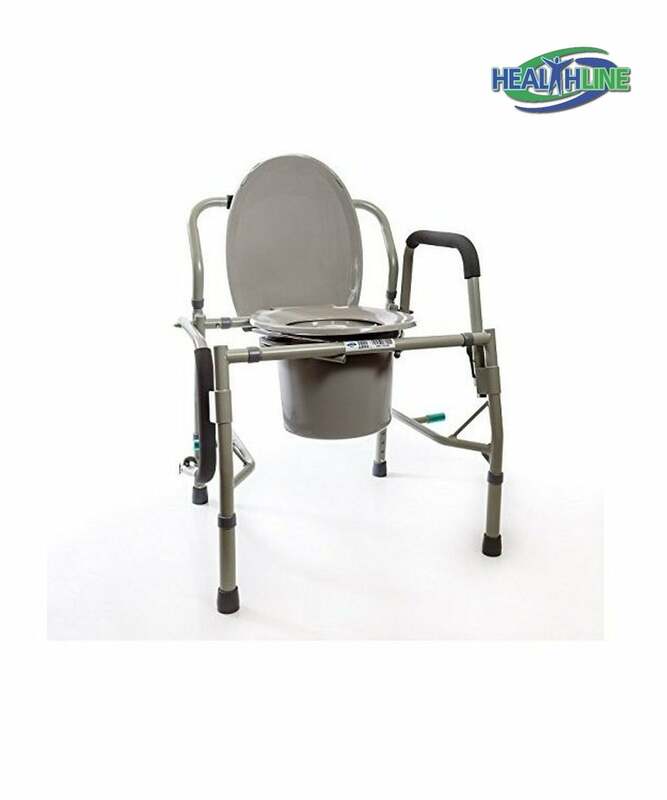 There are three basic ways to use this product: as a lifted toilet seat for post hip surgery patients, night stand – a help up solution – addition to the existing bedroom layout and a safety fixture in the bathroom.